This fall, we started to host a Bible study in our house on Tuesday nights. It is a joy and blessing to pack out (quite literally!) our entire living room and dining room space with people who love each other and love God. We have been studying the book of Exodus which, if you know anything about it, involves the story of how the Israelites escaped from slavery in Egypt. It’s an incredible story but if you don’t know the ending, the beginning of the book seems pretty dismal and a little hopeless - a lot things get worse before they start getting better. 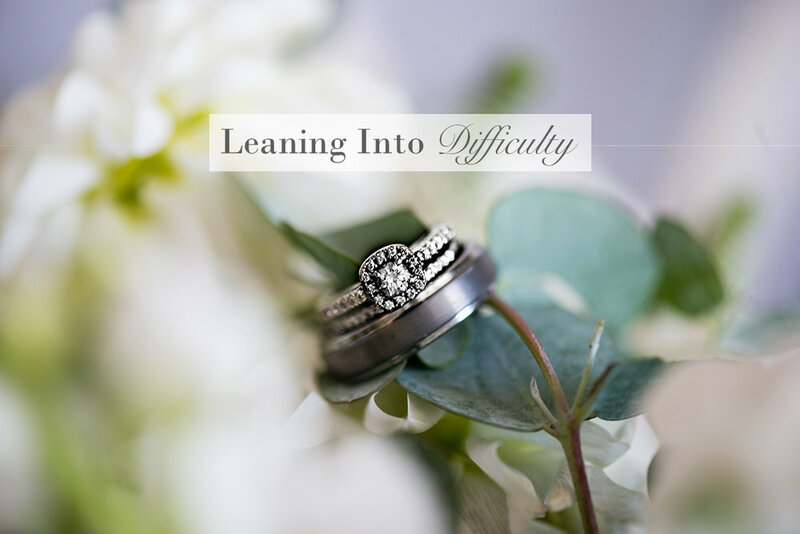 One of the questions posed to us last week was, “How do you respond when life gets difficult?” I didn’t answer out loud at the time because I wanted the chance to really think through my answer. How do I respond? Do I get angry and doubt God, or do I take it in stride? I loved the honest answers that our group members gave, but I just wasn’t quite ready to share mine yet. Nathan and I have not had lives I would consider ‘difficult’ at all. We have both been extremely blessed throughout our lives, and for the most part we have been spared many struggles that others have to go through. We have, however, had our share of difficulties, mostly surrounding the adoption process, and have experienced more hurt through the process of bringing Willow home than we could have imagined. When Joel died, we were utterly devastated. Walking out of the hospital with empty arms left us feeling like we were punched in the stomach. The way we responded to suffering then was to trust that God is good and learn, for the first time, how to really grieve. We had both lost people in our lives before, but Joel was by far the most consequential, and we really didn’t know what to do. We left (as planned) for Africa two weeks later as we celebrated our 6th anniversary, and were reeling for a long time with sadness. We learned so many lessons on how to grieve and process pain during this time. The takeaway here was experiencing the fullness of grief. A few months later, we experienced another huge loss. I never have talked about it publicly for some pretty good reasons, but it had to do with another unsuccessful adoption. The circumstances were so different than with Joel in some ways, but some of the similarities took our breath away yet again. It was during this hard season that I questioned everything - even God. I spent weeks not praying to Him, not reading my Bible, not believing that He cared about me. For me, this was a huge deal. In my entire life I had never doubted God’s goodness, and I did. I was angry and bitter, and it took a lot to return to where I was. The result was that I ran from God in anger, even though I did soon come back. Just a few months after that, we experienced our third disappointment. It was too much to bear. We took our names off the adoption list and retreated. We cried, we took a little vacation, and we wondered what we were even doing. We worked at being content in our relationship, because we were fairly sure our family would never be bigger than just us. This time, we hid - not in a bad way necessarily, but we hid to protect ourselves from more hurt. About 10 months later, Willow came home. It’s an amazing story, and it’s truly a miracle that she is with us. Looking back on the heartache of our journey to adopt her, I can recognize this: all the difficulties brought us closer to God, closer to each other, and ultimately closer to Willow. So much in our lives changed for the better through the pain that I can’t help but know, beyond the shadow of a doubt, that difficulty can and will be used for good if we let it. This is where I am today. This is the answer to the question I couldn’t process at the time. Now, after learning so much, I hold onto God and lean into whatever it is He has for us, good or bad, because I know the result will be worth it in the end.